The World Economic Forum ranked Egypt no70 out of 77 emerging economies on the ranking of the Inclusive Growth and Development index 2018. 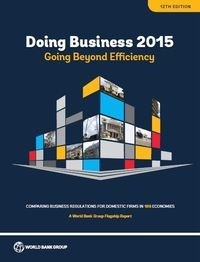 The report ranks 103 economies, 30 of which are advanced economies and 77 emerging ones. Egypt was marked as a slowly receding economy. Norway took the lead of the advanced economies while Lithuania was in the lead of the emerging economies. The World Economic Forum introduced this index as an alternative to GDP that measures the overall performance of the economy, however, it doesn’t touch on the lives of ordinary people who have different ways of measuring the performance of their economies. The measures of ordinary people include their standard of living, income, employment, economic security and quality of life, while on the other hand governments use the GDP to measure the success of their economic policies. Algeria came at the top of MENA countries at number 18, Tunisia came at 39, Jordan at number 50 and Morocco at 75. None of the Gulf Cooperation Council countries were covered in the report.